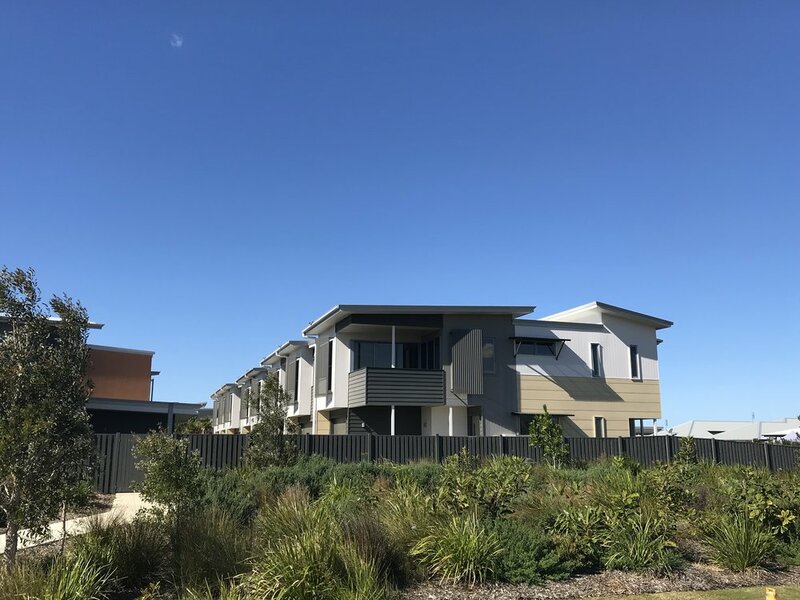 Urban terraces include roof and cantilevered building components that provide sun shade and rain protection for windows, entry thresholds and outdoor living areas in the coastal sub tropical location. The cantilevered form, varying footprint patterning and strong shadow affects provide visual interest and articulation to elevations that also provide dynamic streetscapes. 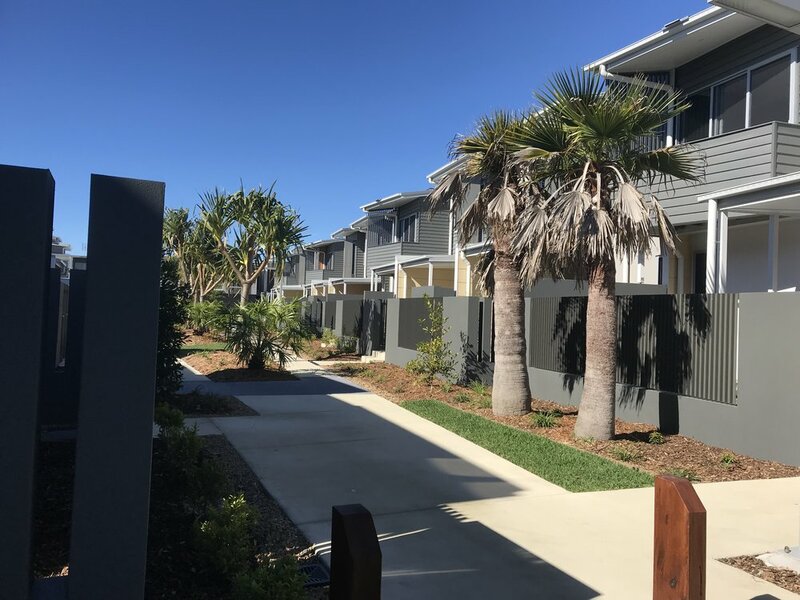 Rather than importing design concepts from elsewhere, overall, the style is a genuine approach providing a unique Sunshine Coast coastal aesthetic. These projects employ hot air extraction techniques such as heat chimneys. Windows within roof formations provide not only hot air extraction but also natural light to the middle of long terrace house configurations. Stairwells that are often dark, gloomy and stuffy spaces. Often the roof vent windows provide opposite downdraft air-flow capitalising on coastal sea breezes. When roof windows are closed in winter the glazing absorb low-level sun rays for passive heating in winter. Rooms always, where possible, have large windows that provide cross ventilation and natural light to internal spaces. The use of louvers maximises the amount of openable area for cross ventilation and breeze flow.